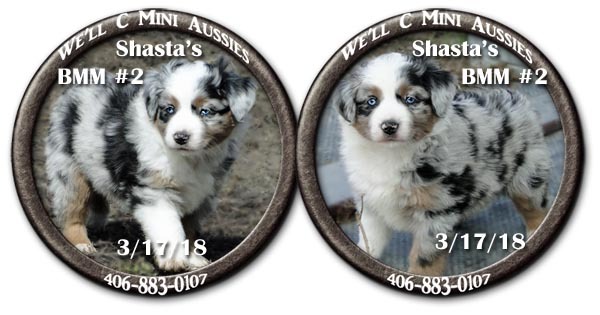 Meet Shasta one of Shawnie's blue Merle females. Shasta was bred to Jack. 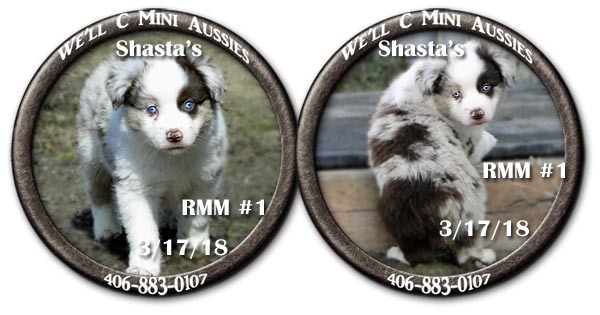 For more information on the parents check out Shasta's personal page and Jack's personal page. 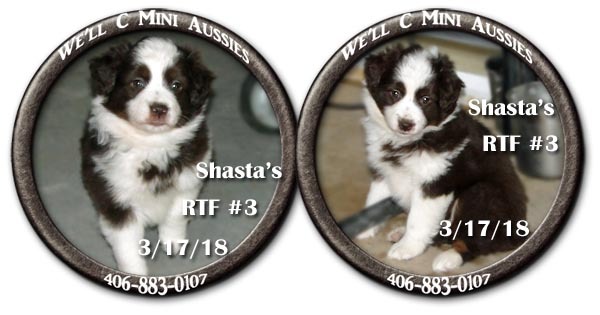 Shasta and Jack had their first litter of Mini Australian Shepherd puppies Jan. 31, 2018. 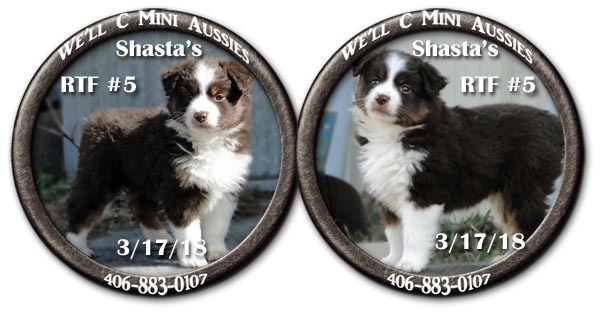 These babies can go home March 28th. This little guy is going home with Kim. This gal is going home with Lori and Ken. Jade is going home with Kristin. THIS SLIDESHOW BELOW WILL SHOW THE DEVELOPMENT OF EACH PUPPY OVER THE 8 WEEKS.